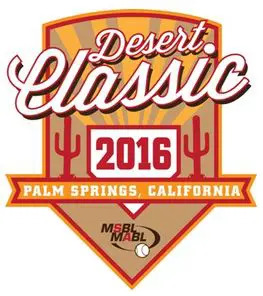 January 18, 2016, Cathedral City, CA – In a tightly contested game, the Inland Angels defeated the South Bay Zephyrs 4-2 to win the 55 division championship of the MSBL Desert Classic Tournament held at Cathedral City, CA. The Angels opened the scored with two runs in the top of the fifth as Tom Fisher led off with a walk, Larry Phipps then reached on a fielder’s choice, Fisher then advanced to third on an error and Andy Vorhees then drove in Fisher with the first run on an RBI single. Phipps then scored on a double-play ground out to give the Angels a 2-0 lead. In the bottom of the sixth, Raul Piette singled with one out and two batters later Joe Thrilkill drove in Piette with the Zephyrs first run and cut the Angels’ lead to 2-1. In the top of the eighth Willie Jutze led off with a walk, Gary Phipps then singled and Dave Schuler doubled to score Jutze to make it 3-1. Mike Kander then singled to bring in Phipps to extend the Angels lead to 4-1. In the bottom of the eighth Dan Williams singled with one out and Dave Mango followed it with and RBI double to get the Zephyrs to within 4-2. In the bottom of the ninth the Zephyrs tried to rally as they put runners at second and third with one out but were unable to score any further and came up two runs short. Rick Myer pitched a complete game for the Angels, giving up two runs on seven hits, walking one and striking out three. Angels Manager Ted Poleto was most pleased with his team’s defense and complete team effort.